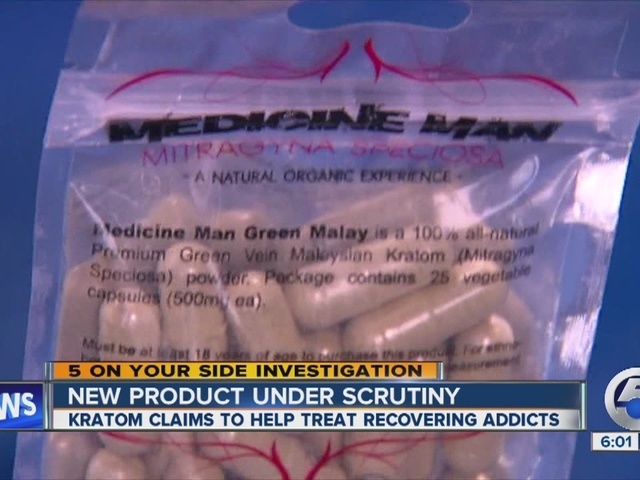 Local officials and Cleveland-area residents are speaking out against kratom, an herb that they said is dangerous and highly addictive, especially for recovering drug addicts. But a lobbying group said there is a big misunderstanding about it. “It can be curative for a lot of ailments, both mental and physical,” said Susan Ash, the director of the American Kratom Association. Although Indiana, Wisconsin, Tennessee and Vermont have banned the supplement, it is still legal in Ohio. “I would wake up, and that was one of my first thoughts was like what am I going to do today because I want this, and I didn’t want to do anything unless I could have it,” said Kayley, who did not want her last name used. Within a month, Kayley said she became addicted to kratom and spent upwards of $50 a day on it. She would ingest the herb by putting capsules in a glass of water. It got so bad that Kayley said she got kicked out of her heroin treatment program. “I think the situation in Cleveland is that it hasn’t reached a danger level yet, but I’m concerned that it has all of the potential to reach a dangerous level,” said Bill Denihan, director of the Alcohol, Drug Addiction & Mental Health Services Board of Cuyahoga County. Denihan said people are using kratom as a natural painkiller. They’re also using it to reduce drug cravings. Kayley said she took kratom only because she had heard about it and wanted to see what it was like. “At first it gives you energy, then it relaxes you, just like laying down, listening to music, relaxing, calming,” she added. “Additionally, this [kratom] can cause paranoia, hallucinations,” Denihan added. But Ash, who said she uses kratom everyday for medicinal purposes, added that it can help people with pain, depression, anxiety and even addiction. “It’s something that is pretty hard to abuse,” Ash said. However, Kayley’s experience was drastically different. She said if she continued taking kratom, she believes she would be back on heroin. “I’d be dead,” she added. The Ohio Attorney General’s Office said it has investigated one kratom case in the state so far. That was in Fairfield County. Kayley is back in rehab.